Lately I've wanted to "go dark". Weekly I thought I'll go to the nail salon and try a midnight blue or green. I mean, because usually I get a pail pink on my toes, and leave my hands bare. SO minimalistic, I know. 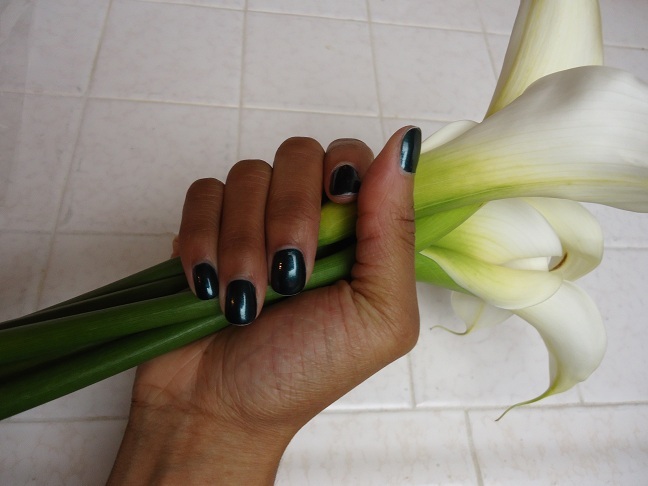 Only after the new year did I find a perfectly satisfying hue; this beautiful dark green that I was strongly drawn to. I literally stepped forward toward the color wall when I saw it there among all the oranges, reds, and browns. I got a pedicure, then decided to really commit and do a manicure too, so my hands and feet match. I'm SO stoked about it! Emerald is such a gorgeous color.